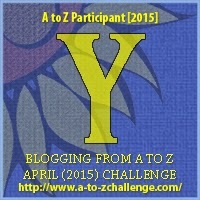 Self-Publishing: Y is for…You can do it. You can do it. You can decide your path. And it doesn’t have to be self-publishing, it doesn’t have to be one or the other. I think that’s the beauty of it – you can choose your own magic. Yes, finding an agent might take more time, but if this is what you want: then keep going, keep writing. Finding an agent doesn’t mean you won’t self-publish or can’t self-publish. Again, here, you can decide. If you want to be traditionally published: I know it’s hard, I know there are many amazing books out there and only a few find an editor but if that’s your dream, then don’t give up. Keep writing. No matter what path you choose. Writing will be hard. Writing will be easy. Writing will be like pulling teeth. Writing will be the only thing you want to do. Writing will be all those things and more.